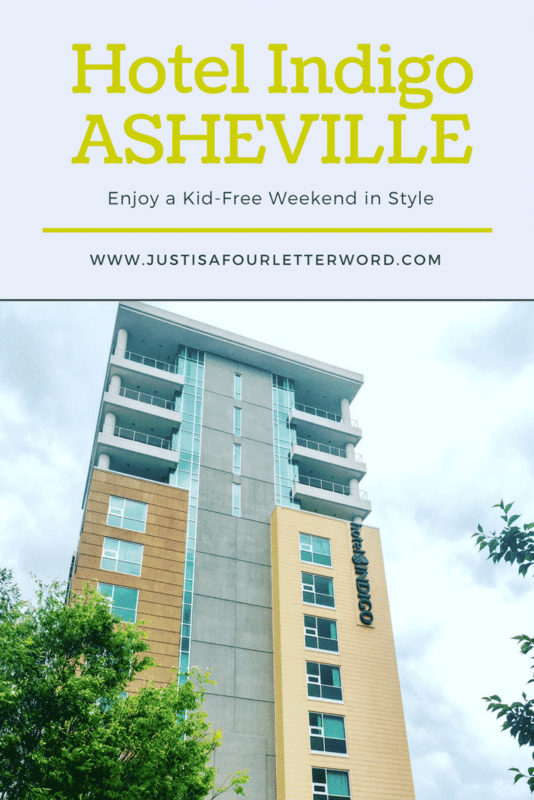 Home Travel	Hotel Indigo Asheville: The Perfect Home-Base for a Kid-Free Weekend! 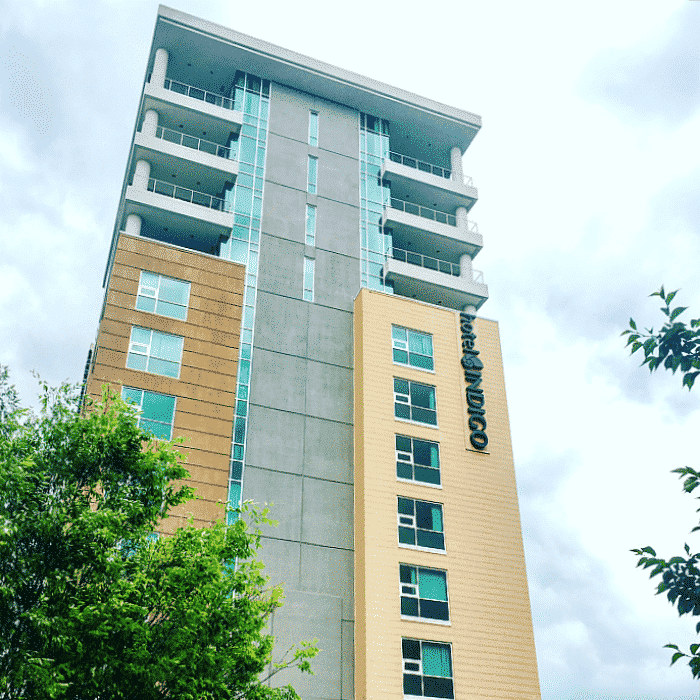 The Hotel Indigo Asheville hosted my stay for the purposes of this review. All opinions are my own. 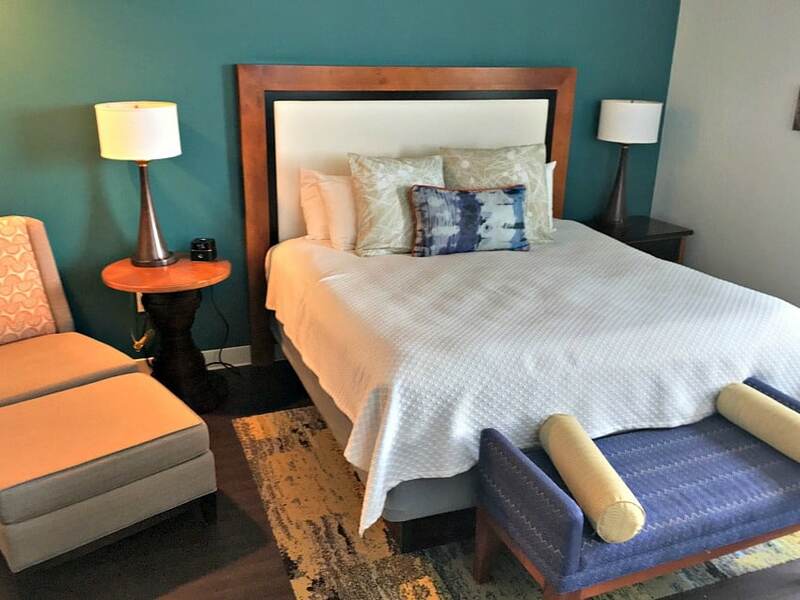 This weekend, we drove the 4+ hours from Raleigh to Asheville, NC for some grown-up time at the Hotel Indigo Asheville, a little boutique hotel downtown. 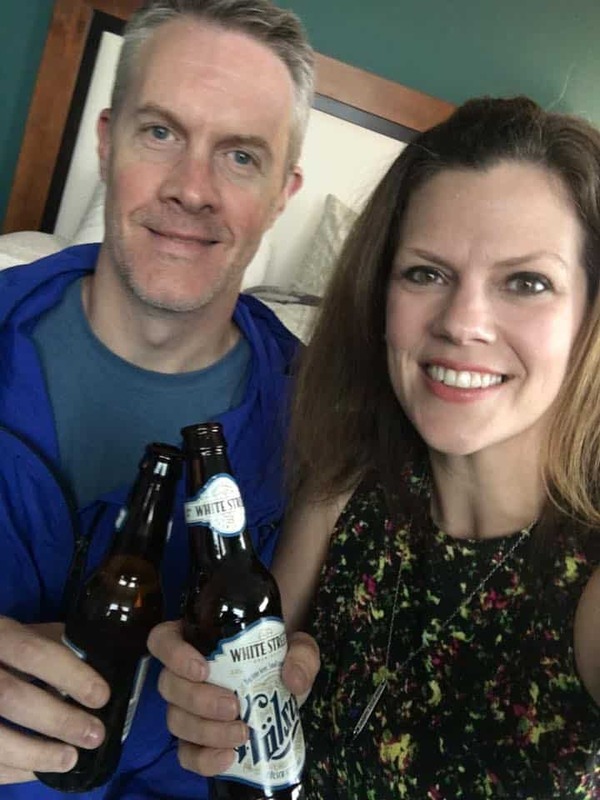 We came home exhausted, refreshed and completely grateful for some time to reconnect one-on-one. Getting away without the kids can be a challenge, but it’s always worth it so we keep making it happen. We love our family getaways, but it’s so great to take some time away as adults too. 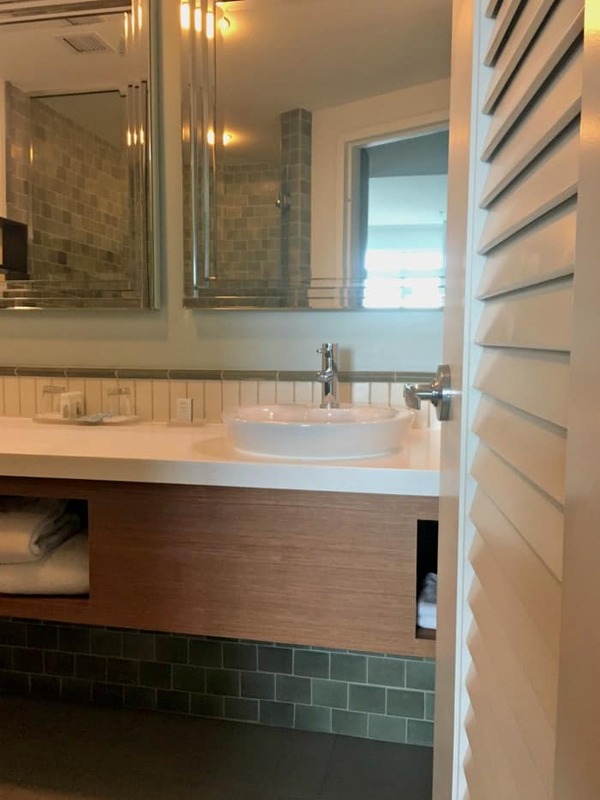 In fact, I’d say occasional kid-free getaways are one of the secrets to staying connected as a couple once you have children. Getting to the Hotel Indigo Asheville really couldn’t be any easier. It was just a couple turns off the highway and we were there. 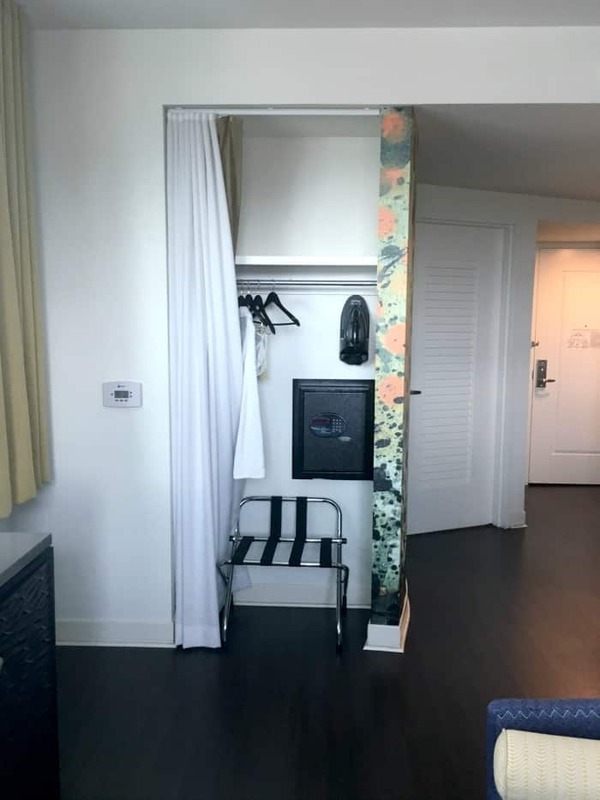 Parking is a snap with the valet and just about everything downtown is walkable. We hardly used our van all weekend! 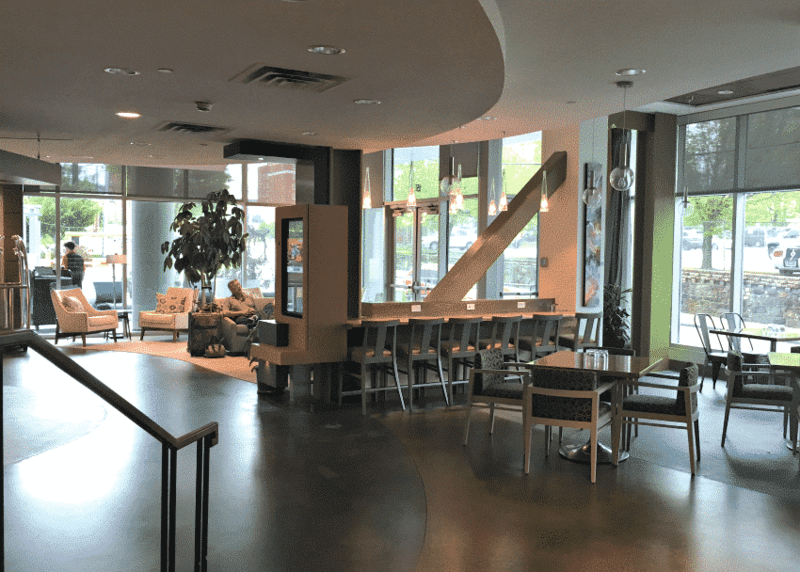 The lobby is bright and spacious with plenty of sitting room as well as outdoor seating. There’s an ATM and computers for business use as well. You can grab a drink or a quick bite from One Fifty One, the small restaurant in the hotel. I may or may not have sampled the cheesecake. 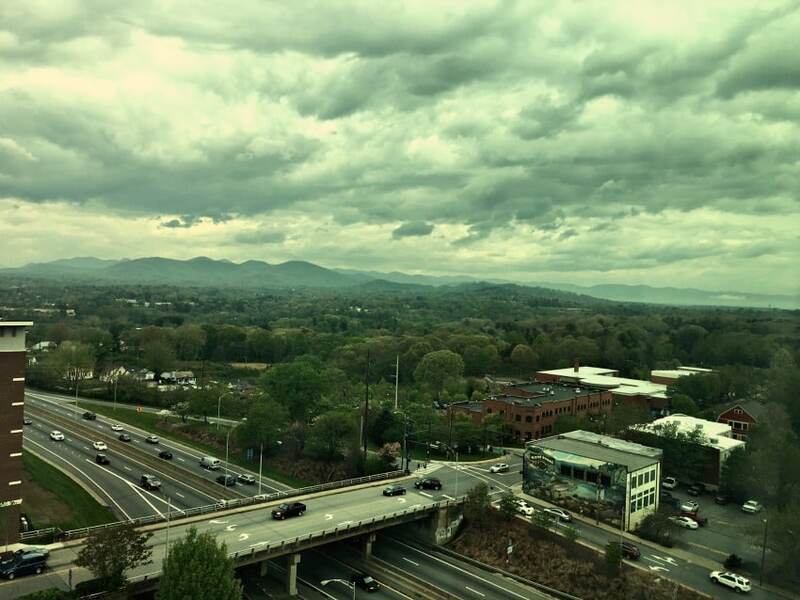 What happens in Asheville…..is delicious. We were given a corner king room and it was really lovely. The room itself isn’t huge, but we had plenty of space for the two of us with room to spare. 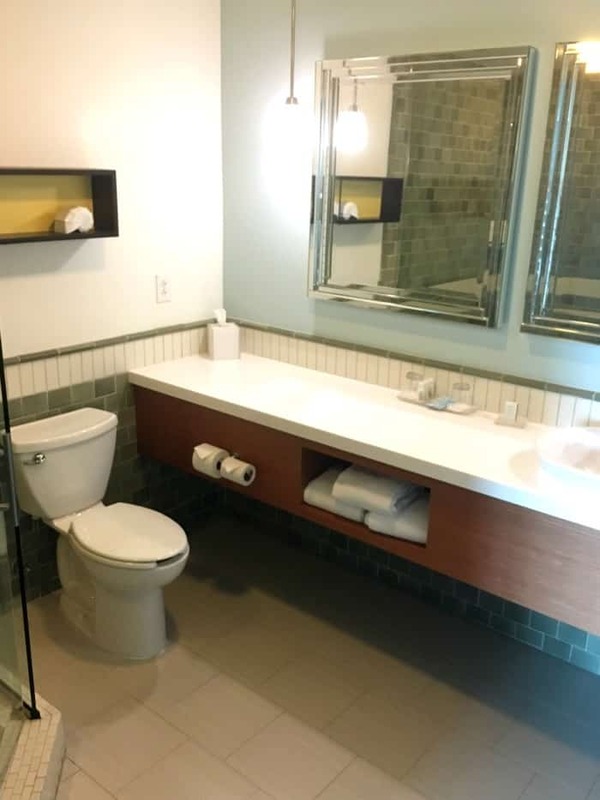 I especially loved the bathroom. The mirrors and lighting were great and the shower was huge. There is no bath but that’s totally fine for a quick weekend visit. 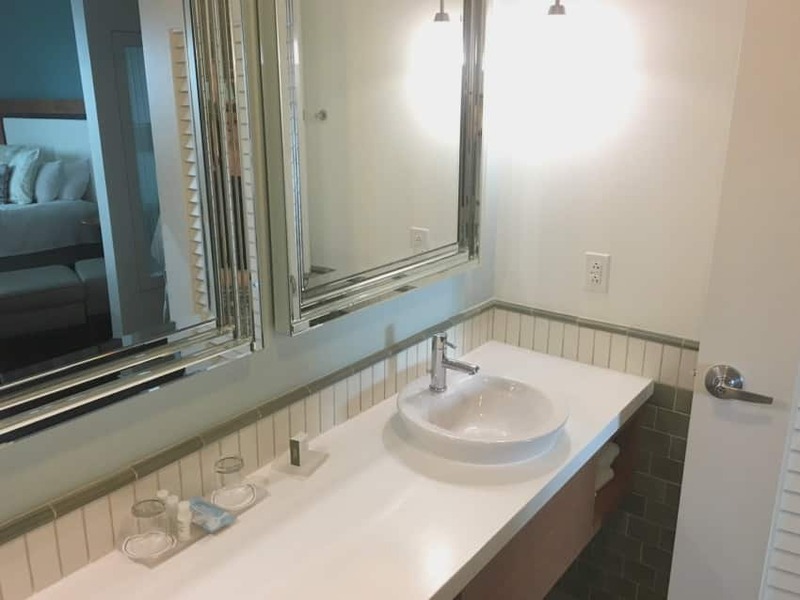 A second sink would have been nice but we didn’t really miss it. The extra counter space was nice to have in its absence. 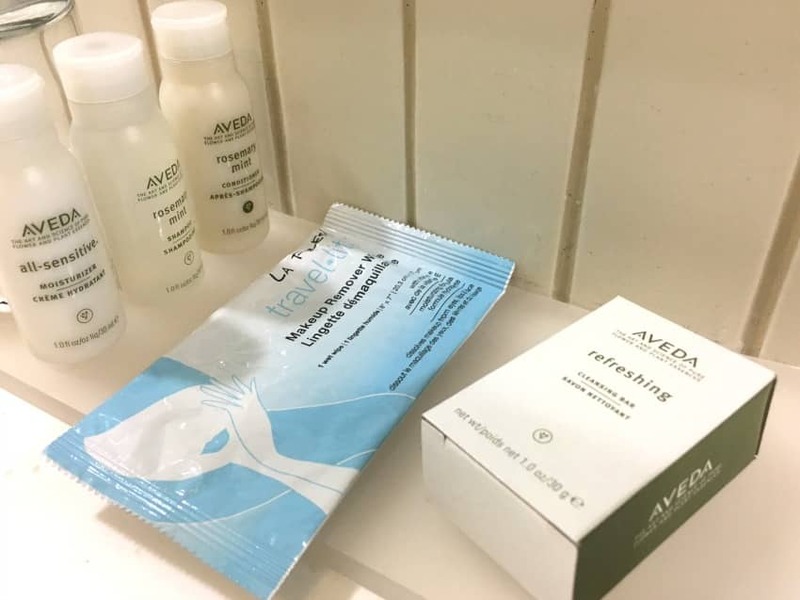 They won me over with AVEDA toiletries and my favorite, a makeup remover cloth! This is always such a nice touch. The room had everything we needed, including a small refrigerator and coffee maker. The coffee maker uses pods so don’t plan on bringing your own. What we had was actually not bad for hotel room coffee! We also enjoyed bringing our leftovers back to the room so we could enjoy walking downtown without lugging around half a pizza. It was a rainy weekend, but the view from our room was still pretty incredible. I can only imagine what it’s like when the weather is nice! 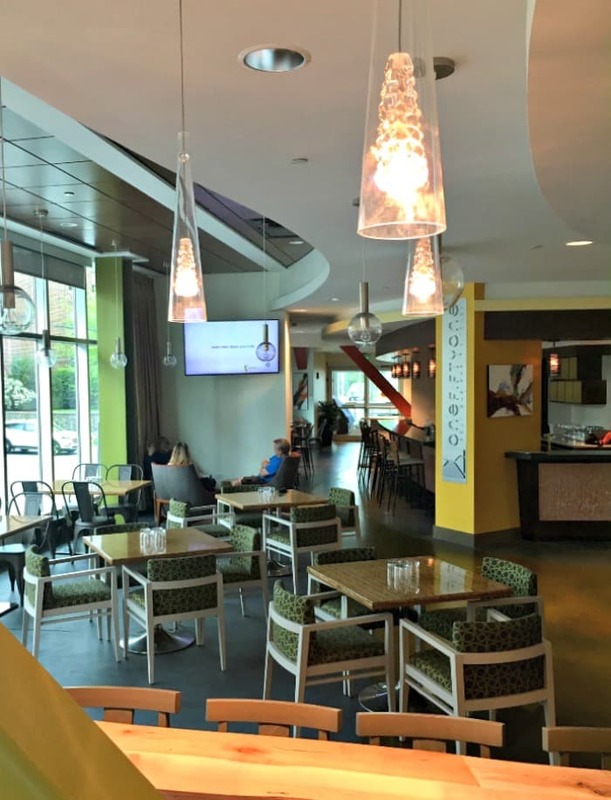 Overall, we had a wonderful time at Hotel Indigo Asheville and would stay there again. 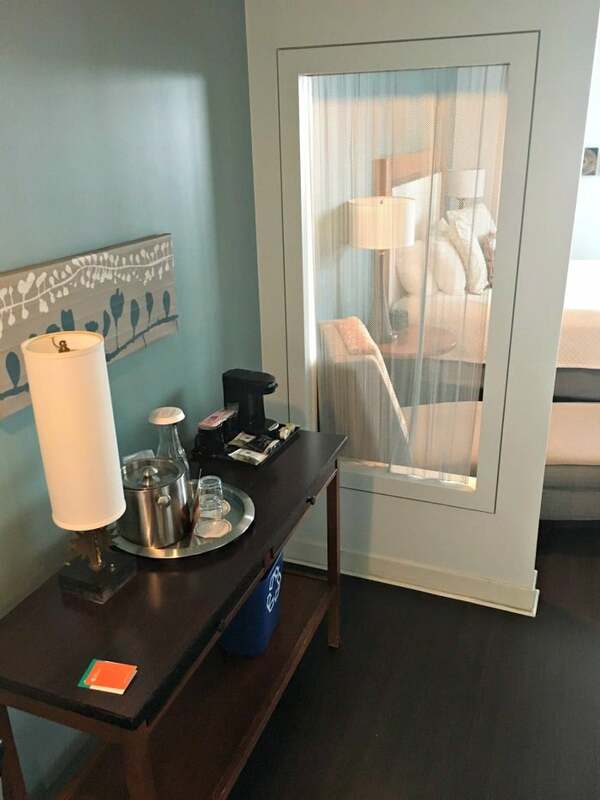 The staff was great, the room was clean and the bed was cozy. What more could we ask for? Let the kid-free weekend begin! 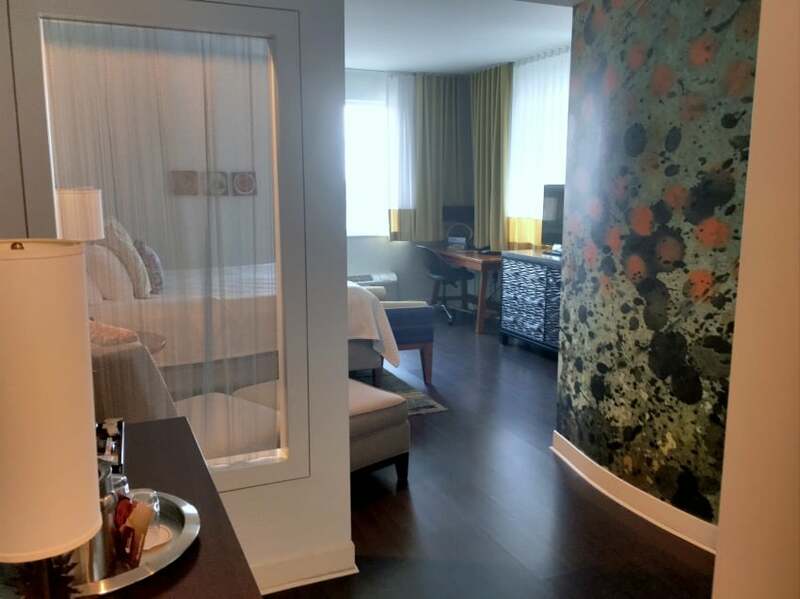 Check out more about the hotel and make reservations here. And be sure to stay tuned for more about our fun, kid-free weekend!